I hope you know already, chase-cars has been making a chassis for the last 4 years with steering and suspension, because sometimes realism is more fun than outright speed. 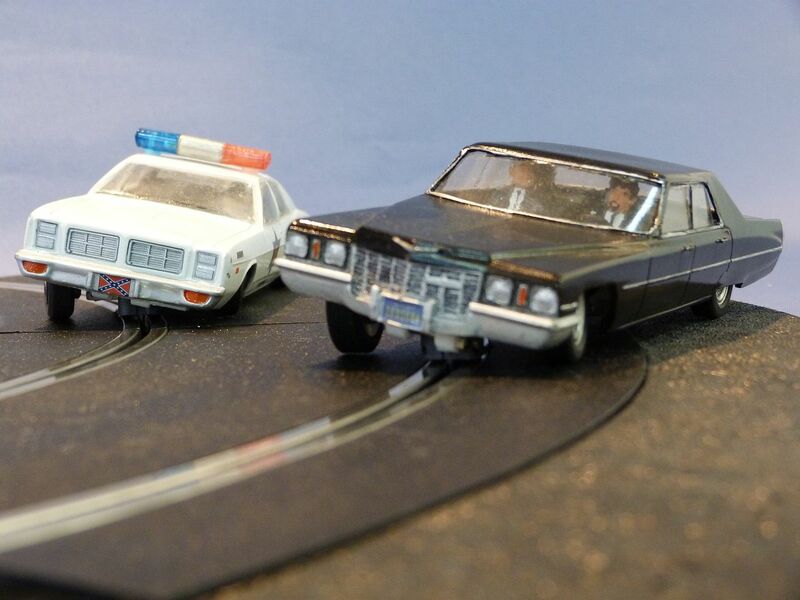 Together with a range of bodyshells from 1970s America, it’s everything you need to recapture the golden age of car chases from the movies, just add your own tire squeals! 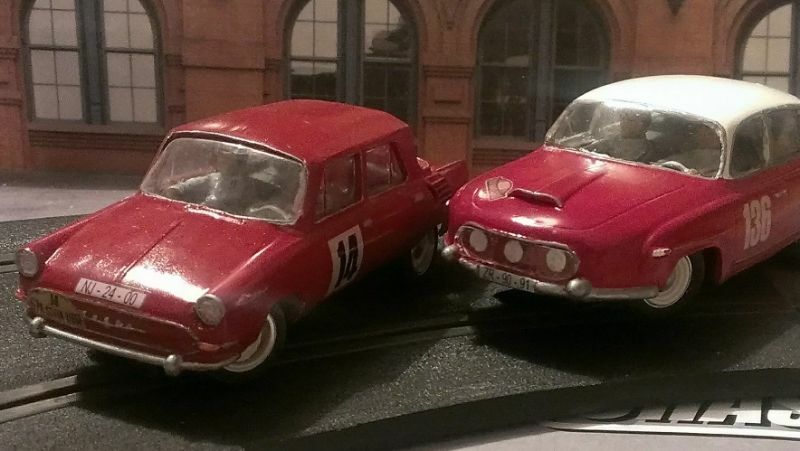 The chassis fits under a range of US sedan bodyshells, but if you want to build a 1960s European rally car you can now choose a chassis which is narrower. The new chassis measures just 27mm across the front hubs, so with a typical 7mm wide wheel you can fit it under a 42mm wide bodyshell. The chassis pictured above is for a VW Beetle which is 45mm wide, so it uses 7mm wheels with an inner hub. The wheelbase is adjustable from 103mm right down to 66mm so most saloon cars can now corner with more realism. Chassis Kit 1 includes all the custom parts you need, the plastic chassis components, stainless steel linkages, alloy front stub axles, coil springs and all fasteners. You need to add your own S-Can motor, 3/32” rear axle, guide, bearings, wheels and tyres. It’s £25 (around $35) plus postage. Chassis Kit 2 includes everything you need to build the car yourself right down to low-resistance silicone motor wire. It’s £64 (around $95) plus postage. Chassis Kit 3 is fully assembled and ready to go, just e-mail the wheelbase length you need and it’ll be shipped ready to fit. It’s £80 (around $118) plus postage.